Analytics, security and data-governance vendors are lining up to help businesses that have been caught out by the activation of the European Union’s general data privacy regulation (GDPR) and the looming introduction of similar Australian policies that threaten to overrun companies with consumer data requests. The industry-by-industry introduction of the new Consumer Data Right – which was introduced in conjunction with the appointment of a new National Data Commissioner in response to the recommendations of a Productivity Commission inquiry and will begin with the introduction of a formal open banking industry program – will put companies in a range of industries on the front line of data-privacy protections. Yet studies have repeatedly shown that many companies in Australia – and elsewhere – remain unable to accurately inventory or manage their customer data at the level of granularity and control required by the new regulations. One recent survey found that just 9 percent of businesses have implemented data tagging tools to help keep track of their often-massive data holdings. Given that customers’ expectations of privacy and data control are only increasing – and many are putting companies on notice to do the right thing or risk losing business – Qlik APAC vice president Julian Quinn told CSO Australia that analytics vendors needed to step up their involvement with customers’ ongoing data compliance efforts. 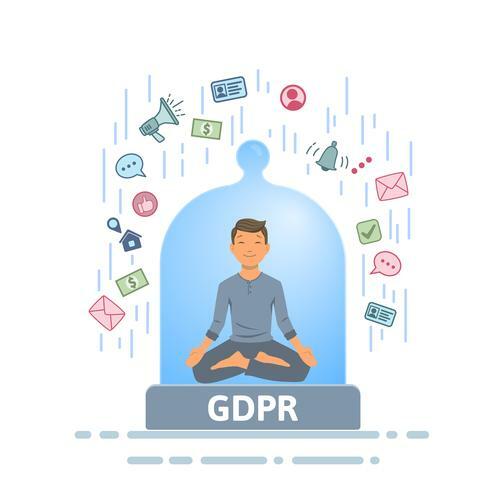 For companies whose business is based on data, the imperative is even stronger – but a recent Forrester Research analysis found that just 15 percent of B2B marketing companies, for one, are GDPR compliant. Data audits are only the beginning of GDPR compliance for marketers, Forrester warned, and just 11 percent of surveyed companies had vetted their third-party suppliers for GDPR readiness. Mimecast principal technical consultant Garrett O'Hara was pragmatic about the possibility of fines, advising companies to focus more on building up robust processes for handling data requests and incident responses in the event of a data breach. Read more Customers recommend, spend more with companies that protect their data – so why are so few businesses GDPR ready? Tools vendors have been coming to the party, with a number of GDPR data-compliance tools recently or poised to be released. MinerEye, for one, recently launched an AI-driven data identification tool that learns different types of business data over time. Adobe, for its part, announced that it has patented a technique for enforcing data export controls that stop consumer data being sent to destinations in potential violation of data privacy or data use agreements. This sort of control will become increasingly important in helping data-driven companies meet customer expectations while preserving their privacy. “The more data organisations ask for, the higher the expectation of personalised services from customers,” Talend ANZ country manager Steve Singer said in a statement. A data reality check – What does GDPR and NDB mean for Australian businesses?